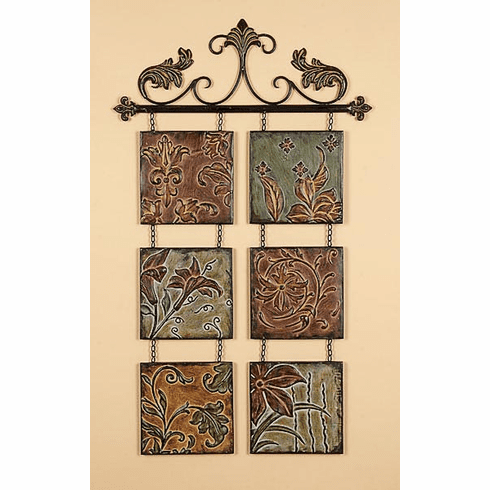 This is a very nice, high quality decorative metal sculpture wall decor art. Featuring abstract shapes & patterns hand-painted in various bold colors. Works well with many different themes of decor. measuring approximately 40" high x 24" wide. * 40x23" can be hanging in single point. This is handcraft, hand painted metal wall sculpture also good as table topper. With various detailed pattern around, this art set give you a distinct aging view. Levitating elegance bring the arts set a 3D feelings. Perfect for your home,studio,scene, office, art project, builder model house and high class hotel room. Dimensions: 25" x 15" x 5"